WASHINGTON: US President Donald Trump has received a ‘very positive’ letter from North Korean leader Kim Jong Un seeking a follow-up meeting after their historic summit in Singapore, the White House said. “It was a very warm, very positive letter,” White House spokeswoman Sarah Sanders said, adding that the message showed Pyongyang’s ‘continued commitment to focus on denuclearisation’ on the Korean Peninsula. “The primary purpose of the letter was to schedule another meeting with the president, which we are open to and are already in the process of coordinating,” she said Monday at the first White House press briefing in nearly three weeks. Sanders added that the letter was ‘further evidence of progress’ in Washington’s relationship with Pyongyang. 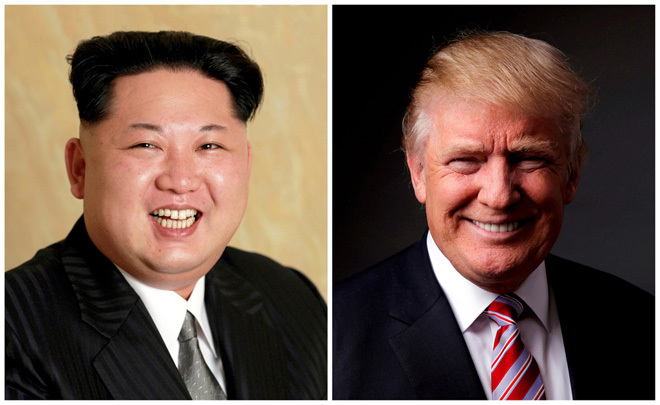 Trump and Kim held a historic summit in Singapore in June that raised prospects of a breakthrough on curtailing North Korea’s nuclear programme. South Korea’s dovish President Moon Jae-in, who brokered the June meeting, vowed to continue playing the role of a mediator to facilitate dialogue between Trump and Kim. “The complete denuclearisation of the Korean peninsula is an issue that should fundamentally be resolved between the US and North Korea through negotiation,” Moon told a cabinet meeting yesterday. “A big vision and a bold decision between the leaders of North Korea and the US are needed again in order to advance to a higher level in discarding Pyongyang’s existing nuclear weapons,” he added. Despite follow-on negotiations on denuclearising the peninsula hitting a snag leading to Secretary of State Mike Pompeo cancelling a planned trip to the North late last month, the new letter showed signs that the discussions remain alive after weeks of apparent deadlock. “We think it’s important and we’re glad that we’re making progress,” Sanders said, adding that Trump deserves the ‘credit’for bringing the two parties to the table. “At the end of the day, ultimately, it’s always going to be best when you can have the two leaders sit down,” she added. The White House has pointed to a series of accomplishments in recent months, including a release of US hostages, the repatriation of war remains believed to be of US service members and a pause in North Korea’s missile and nuclear tests, to suggest progress between the foes. Stephen Biegun, the new US special envoy for North Korea, stressed the importance of maintaining the momentum of dialogue with Pyongyang and said the back-to-back summits created ‘a tremendous opportunity’. And on Sunday, North Korea refrained from displaying its intercontinental missiles — long a bone of contention in its nuclear tensions with Washington — in a massive parade through Pyongyang celebrating the country’s 70th birthday. The latest parade “for once was not about their nuclear arsenal,” Sanders said. The letter’s arrival was confirmed as Trump’s top security advisor said the White House was looking to North Korea for next steps. “We’re still waiting for them. The possibility of another meeting between the two presidents obviously exists,” said National Security Advisor John Bolton.